There has been an ever increasing number of cool projects popping up on Kickstarter, and L8 SmartLight is no different. With L8, you can use a box packed with 64 LED’s and one Super LED to give visual cues for notifications when hearing them is not an option. For example, you can personalize a color or pattern you want to see for incoming calls, emails, and text messages. 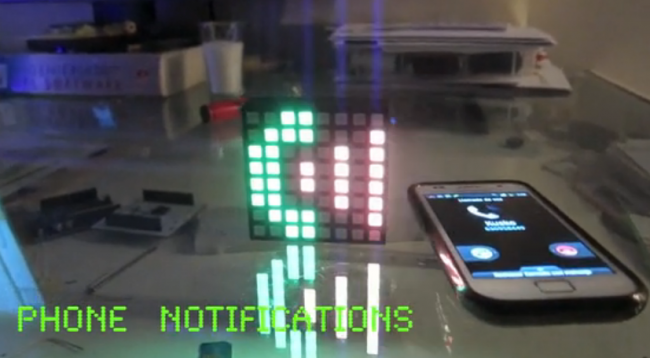 This is definitely the most unique notification/light system we have seen. It does much more than just notifications though. Through an application that gives you complete control of the light and color output, you can use it to set the mood with special lighting and even turn it into a strobe for your next rave. It has a proximity sensor, can show temperature levels thanks to another sensor, connects via Bluetooth, informs you of new social network updates, and will express your mood in a variety of fashions. With manufacturing and delivery expected to be done by November of this year, this is just in time to become a nice Christmas present for a tech lover (wink). Check the video below to see the wide variety of tasks that you can use the L8 SmartLight for.